Happy graduation! You did it! This column is for graduates and their families. We salute your commitment to your education, your future and the future of your family. 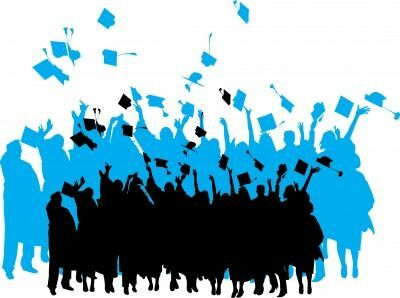 Graduating from high school, community college, a technical training school, or a four year college or university is a big deal. No two ways about it. You are celebrating a milestone and the beginning of “what’s next.” We hope you will realize the economic and social benefits of your education. And we hope you will take the time to thank your family for their encouragement. It takes a lot of support to persist towards a degree and to graduate. And, as you well know, it takes money. As a new graduate, we encourage you to make a commitment to “paying it forward.” Here are three suggestions to transform you from a graduate into a major donor. You can follow these steps even if you graduated years ago: it’s never too late to make a difference. First, make a small monthly commitment to your alma mater. Look at your budget and find an amount you can commit to giving every month. Automate your giving through a direct transfer or debit. Set it up and forget about it. As you go through life you can increase your monthly gift. If you start with $25 a month, you can increase to $35 a month next year, and $45 a month the following year. Notice we are talking about monthly gifts. That’s because it is easier to give small consistent amounts, than it is to give a one-time larger gift. Twenty-five dollars a month is $300. But for many people, it is difficult to give $300 – there is always another need. Twenty-five dollars is more manageable. Second, create a small giving circle to support your school. This can be formal, as in the Ujima Legacy Fund that Reginald Gordon discussed in our last two columns, or it can be informal. For example, think about your high school and the impact ten or twenty graduates can make by giving on a monthly basis. Using the starting point of $25, you could collectively give $250 to $500 dollars depending upon how many people participate. Third, if you are a member of an alumni association take a long hard look at the expenses associated with homecoming, reunions and other special events. Can we reverse the trend by spending more on scholarships than hotels, travel, parties and lavish awards? You can make a difference in the culture of your alumni association: let’s put students first. Over time you can grow into a major donor who shares his or her success with the school or college that prepared you for your life and career. Start small – plan BIG. This entry was posted in FUNdraising Good Times and tagged alumni giving, graduation, high school giving, reunion, scholarship fundraising, young alumni donors. Bookmark the permalink.